Almost every business needs reporting capabilities on one or more database sources such as Microsoft SQL Server, Oracle, Sybase, DB2, and even PC database programs such as Access, dBase, and FoxPro. This video acquaints report developers with the fundamentals of using Crystal Reports. 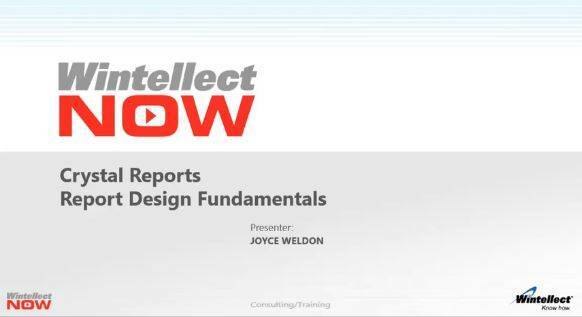 You'll learn how to create new reports by connecting to a database and selecting a single table or multiple tables and establishing appropriate table links. You'll use the Formula Workshop / Formula Editor to create formula fields that display calculated data in the report. Finally, you'll learn how to group, sort, summarize, and filter report data.